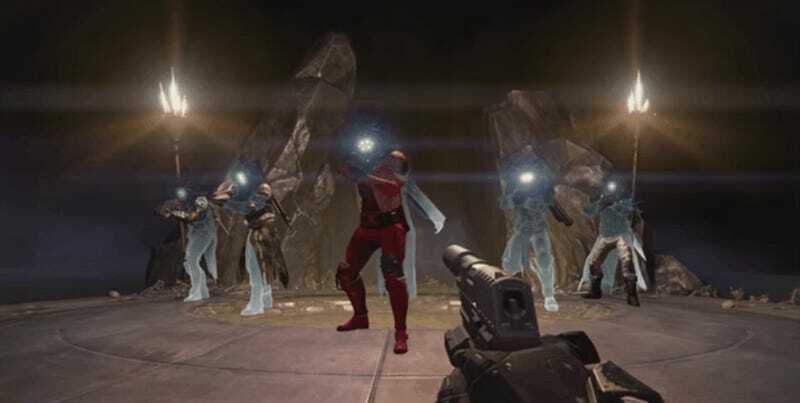 It’s Halloween in Destiny, a game about traveling the solar system destroying evil aliens and green engrams. Halloween brings with it goofy masks, novelty items, and if we’re lucky, dance routines. I cannot imagine how much rehearsal it took for six players to be able to coordinate that many moves, all while waiting for their various abilities to charge up. One wrong move and everyone has to wait for their supers to re-charge… pop a heavy… man. Respect.